The Southern Coalition for Social Justice strongly supports Environmental Justice at both the community and academic levels. SCSJ’s recent Environmental Justice matters include Gates County, NC‘s successful campaign against an Outlying Landing Field and Southernside, South Carolina’s pending environmental justice claim with the Department of Transportation. In keeping with our onging support of Environmental Justice, SCSJ is sharing information about an upcoming EJ workshop at UNC and Duke on February 6 and 7, 2014. 1. On Thursday February 6, Professor Pulido will join a workshop structured around questions of power and knowledge in contemporary urban environments. She will discuss her experience with ethical and political boundaries in her research, approaches to engaged scholarship, what it means to do work on race in geography, and the relationship between scholarship, movements and activism. E-mail valdivia@email.unc.edu for PDFs of the papers that will accompany the discussion. Faculty, graduate and undergraduate students are welcome. Time and location: FEB 6. 3.00-5.00PM. UNC CHAPEL HILL, Saunders Hall 321. 2. On Friday February 7, Professor Pulido will give a talk titled “Landscapes of Environmental Justice” at the Duke-UNC Consortium Conference on Latin American and Caribbean Studies. In this talk, Professor Pulido takes a long historical view to situate cases of environmental racism. Focusing on the actions of the state within the context of racial capitalism, she examines the various economic and social processes that led to the current environmental racism associated with a local polluter in Los Angeles, Exide Technologies. Going back to Spanish colonization, she shows how the landscape and geography of Exide Technologies was centuries in the making and that the current exposure of local Latinas/os is the latest in a long history of injustices.The talk will be followed by commentaries from Professor Arturo Escobar (UNC Anthropology) and Professor Gabriela Valdivia (UNC Geography). Time and location: FRIDAY, FEB 7. 3.00-4.30PM. FRANKLIN CENTER ROOM 240. DUKE UNIVERISTY. 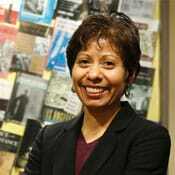 Laura Pulido is Professor of American Studies and Ethnicity at the University of Southern California. She researches race, political activism, Chicana/o Studies, critical human geography, and Los Angeles. She studies how various groups experience racial and class oppression, how these experiences differ among particular communities of color, and how they mobilize to create a more socially-just world. Professor Pulido has worked in the field of environmental justice, social movements, labor studies, and radical tourism. These events are co-sponsored by the Geography Department at UNC Chapel Hill, the Working Group on Social Cartographies of the Americas, and the Duke-UNC Consortium on Latin American and Caribbean Studies. Next Article: Crime does pay, but for whom?